Having debuted in the industry of cinema in the late 1970s, Gi Ju-bong has played various roles in many cinematic productions, namely television dramas, movies, and theatre shows. 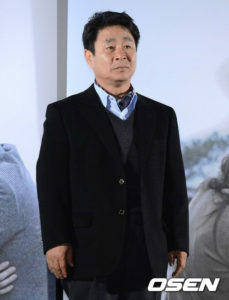 Although has not won an award regarding acting, Gi Ju-bong was nominated for Best Supporting Actor in the 17th Buil Film Awards and 45th Grand Bell Awards in 2008, proving that he always delivers excellent performances. Thus, in this article, Channel-Korea will explain to you everything about Gi Ju-bong which includes his personal profile and the list of his dramas, movies, and theatre performance. So, keep reading! 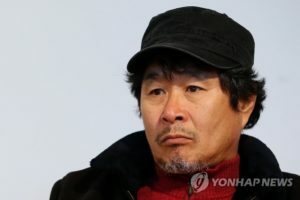 As was explained at the beginning of this article, Gi Ju-bong is considered a veteran actor who has often been cast in supporting roles in countless television dramas, movies, and theatre shows throughout his career. Thus, in this section, Channel-Korea has compiled a list of the television series that Gi Ju-bong has performed in. 1979 – Theatre Show Woza Albert! 1991 – Who Saw the Dragon Claws? / Who Saw the Dragon’s Toenail? Are You Curious About the Latest News of Rain and Kim Tae-hee?